Eminem just went in on President Donald Trump dropping a freestyle at The BET Hip-Hop Awards that ripped the leader of the free world to shreds. Marshall Mathers has never been one to shy away from spitting bars, and dropping truth bombs over the United States of America, but his latest freestyle is directed at the man at the helm of the Oval Office. 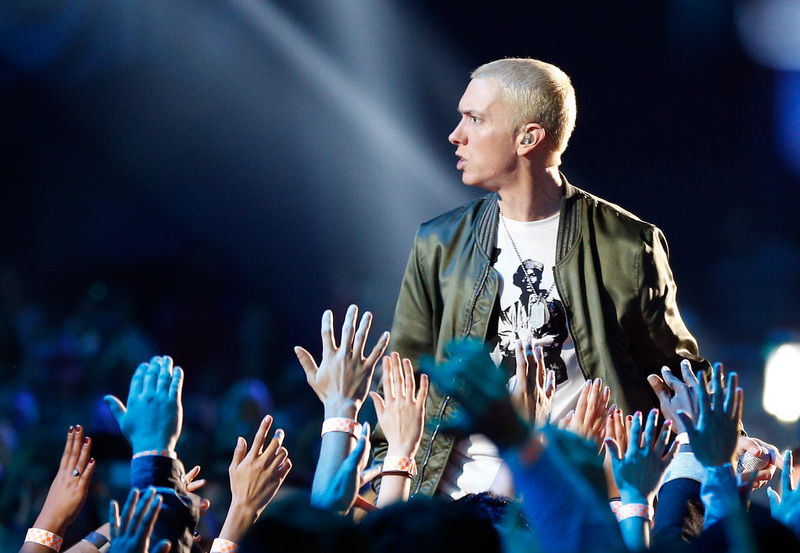 Beginning with the ‘clam before the storm’ – a potential nod to the 45th’s latest threat to North Korea – Eminem then unleashes some inconvenient opinions about his presidency which will have pissed off the half of America who un-buried their heads from the sand to watch the BET Hip-Hop Awards last night, no doubt. The highlights reel includes accusations of racism, with Mathers claiming: ‘Racism’s the only thing he’s fantastic for’. Eminem isn’t the only public figure who has spoken out against some of Trump’s most controversial policies, including the so-called Travel Ban, restricting women’s fertility rights, failing to condemn White Nationalists, and that blasted wall down on the Mexican border. No doubt we’ll be hearing the clapback on @realDonaldTrump’s Twitter soon. 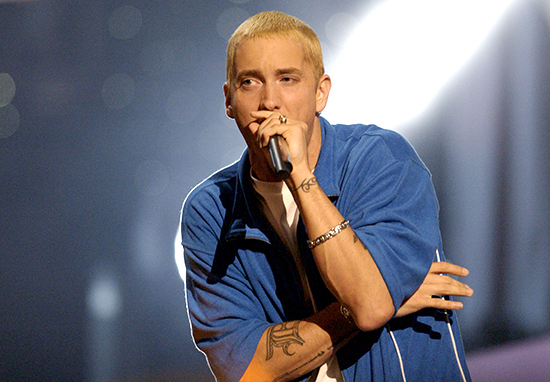 Meanwhile, the rapper is preparing to drop his latest album, celebrating the 15th anniversary of fourth album The Eminem Show, and writing music for new movie Bodied. Watch this space for more musical political commentary.